Share our suggested messages on Twitter and Facebook - remember to follow and like machealth. Check out our suggestions below to get you started. Share our message with your newsletter subscribers. Feel free to use our suggested newsletter copy below targeted to healthcare professionals. It's a sad truth, but in 2017 approximately 3,987 Canadians lost their lives in suspected opioid overdoses. It may seem like a daunting task, but something can be done to manage the opioid overdose crisis in Canada. Ontario health professionals play an important role in keeping their patients safe, they just need to know how. Course 3 is now live! The latest course in the Opioids Clinical Primer Program on Machealth has launched. 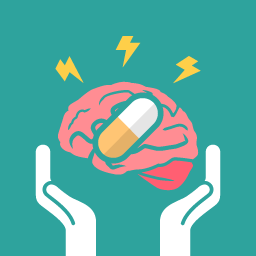 Safer Opioid Prescribing Strategies assists clinicians in managing some of the dilemmas associated with using opioids in the treatment of chronic non-cancer pain. select patients who are likely to benefit from opioids and are at a lower risk of harm. Does your organization maintain a blog? If so, consider featuring a post about the Clinical Primer. Feel free to explore the program, including its courses and resources. Check out our blog about the launch of the program for some ideas of where to start. If you have an upcoming event where you would like to promote the Opioids Clinical Primer you can download the print-ready version of the program’s promotional postcard. If you have any questions about the program, feel free to reach out.